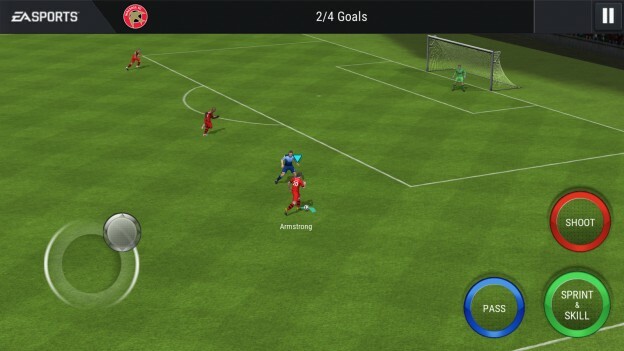 FIFA 17 Mobile is out and also brings some new features. You probably have trouble in it, so here are tips to help you. This game mode allows you to play against players all around the world in turn based systems. Each match has four turns and even if the players you challenge may not respond, you still get a lot in terms of rewards and especially fans. Fans are rewarded for your in-game performance, so even if you lose but you score a ton of goals, you still have a lot to win. The Attack Mode is fast, requires just 1 energy per turn and it’s extremely rewarding in terms of coins and fans. In FIFA Mobile 17 you need to have all the possible positions filled, so you need a total of 27 players. Focus on building a strong team based on a formation you like playing, and always use that formation/tactic in all your matches. This way, you will win more games and it will be easier for you to build a perfect team than if you would try to build a legendary one for 27 positions. You can pass the ball around and shoot it by swiping your finger on the screen and in some occasions that might work better. Try playing with the virtual joystick or the touch controls (or a bit of both) and see which one works best for you. Try them out and see what works for you. You can get some really high rating players (70 and above) for as low as 800 Coins. All you have to do is to set your search filters to show only players with a rating of over 70 that have a Buy Now price of 1,000 or up to 1,500. Keep refreshing that and you will get your players quickly. By the way, you shall keep an eye on the Live Events. The Live Events are amazing for getting a ton of coins in the game (especially with those First win rewards), and also for winning cards for plans and improving your game. And don’t forget the plans you have to complete.